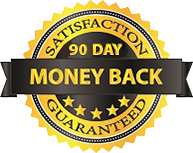 Create Professional Labels in Just Minutes! Forget about the old-fashioned way of making labels. Art Explosion® Label Factory® Deluxe is far easier to use than other label making solutions. Why? Because Label Factory Deluxe uses wizards to assist you in making even the most complex labels in just minutes. 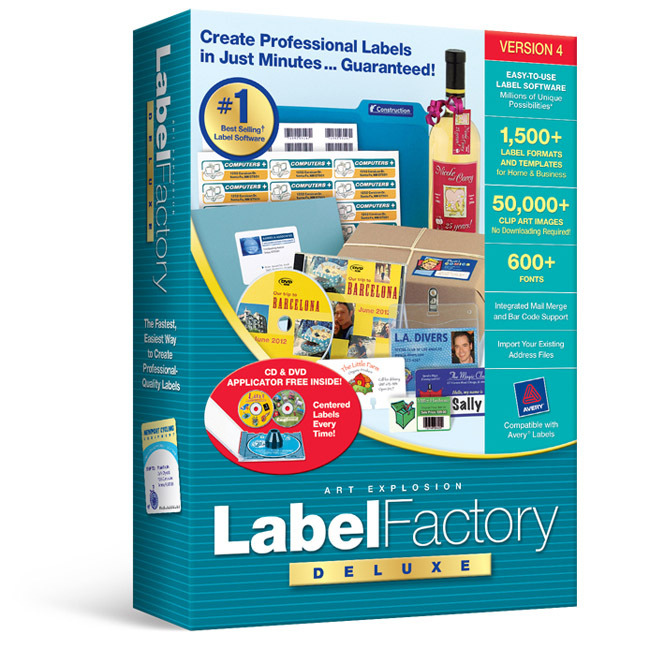 Simply stated, Label Factory Deluxe is the fastest, easiest way to create professional-quality labels. But behind its simplicity lies a powerful application with the most sophisticated set of features available today in any label-making program. Features like more than 1,500 label formats and templates, 50,000+ spectacular clip art images, support for Avery® and bar code formats, an integrated database manager and address book, and much more. You can even import data from Outlook®, Excel® and Access®. The built-in address book lets you create personalized labels in minutes. Custom Labels in 3 Easy Steps! Import existing address books made in other programs. 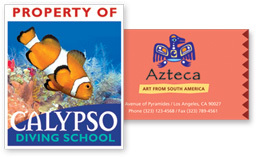 Import logos and graphics in a variety of formats. 50,000+ Graphics All Inside the Box! We've included 50,000+ royalty-free Art Explosion® clip art images and 600+ fonts, all perfect for making your own label designs. Plus 600+ Creative and Business Fonts! Now you can produce labels with 13 different bar code formats. Perfectly Centered Labels Each and Every Time! Note: Only included only in the boxed version!